Biker Information Guide - Enjoy the Roads of Arizona! Home / /Enjoy the Roads of Arizona! Welcome to Arizona Bike Week and to the greatest state in the USA for riding a motorcycle! If you are from Arizona I am sure you are familiar with all the wonderful rides available here. If you have made the journey from outside Arizona I want to thank you for coming and I wish you a great time traveling the highways and back roads of the Copper State!! Arizona is the sixth largest state in the Union in area. Arizona also is home to some of the greatest rides a motorcyclist can find anywhere in the country, from the warm deserts to the high mountains, from long straight interstates to the twisted curves of the “Devils Highway” and winding mountain roads. On behalf of the members of A.B.A.T.E. of Arizona I encourage all motorcyclists to get out and travel the length and width of Arizona. You can even experience a time travel of sorts by visiting historic places such as Tombstone the “Town to Tough to Die” and the eclectic town of Bisbee in the Southeast part of the state. You may also ride sections of the Historic Route 66 which still exist across the Northern areas from Flagstaff to Kingman. We have been active working for the approximately 200,000 motorcyclists of Arizona to ensure their rights are protected and they can enjoy the “FREEDOM OF THE ROAD”. We also work to promote motorcycle safety and awareness, and promote training for both riders and motorists to make the roads safe for all. 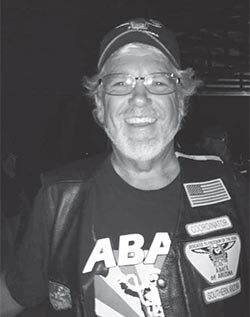 We interact with other motorcycle organizations throughout the state of Arizona and also with organizations such as the Motorcycle Riders Foundation and the American Motorcyclists Association on a national level. Do you live in Arizona? Do you ride a motorcycle? If so, you need to join ABATE of AZ. If you care about your rights as a biker, you’ll do it. ABATE of Arizona Needs You!!! … And if you ride a motorcycle in Arizona, You need ABATE of Arizona!! !